Hudson Poly Bag has been producing Merchandise Poly Bags for our customers for years. When our customer wants the poly bag to look good, be on time and an affordable price, Hudson Poly Bag has consistently been the answer. We simply do what we say that we will do. 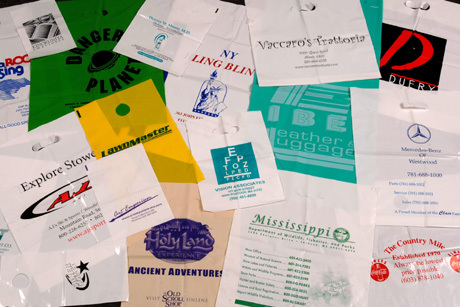 Hudson Poly Bag’s custom printed Merchandise Bags are the alternative to the paper bags or stock Thank You bags imported from Asia and elsewhere. Many merchants like to have their name, logo, address, telephone number and web site on the bag that the customer is leaving the store with. It is an effective advertising medium. If the merchant’s store is in an enclosed or strip mall, perhaps people will see the Merchandise Bag and increase brand recognition of the store. 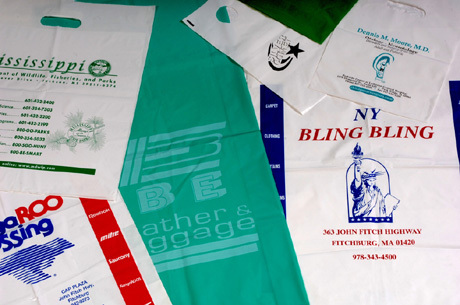 There are many things to consider when purchasing Merchandise Bags, such as the weight of the items going into the Merchandise Bags, the sizes of the items going into the Merchandise Bags and the “look” of the Merchandise Bags. Hudson Poly Bag can help with those decisions.